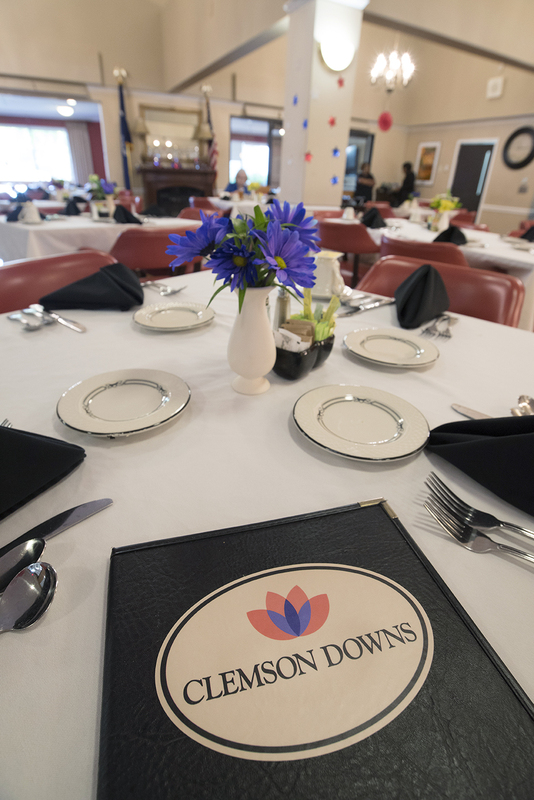 Clemson Downs skilled culinary staff takes pride in offering our residents a dining experience that will satisfy anyone’s palate. 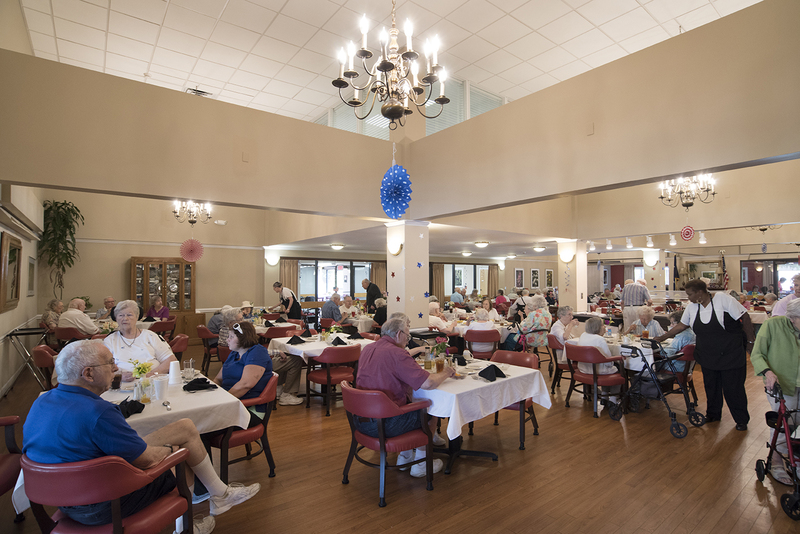 Residents enjoy one full course meal from 11 am – 1 pm in the spacious, upscale dining room. 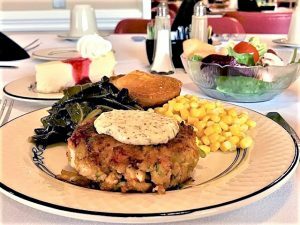 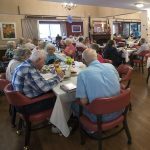 The offerings include a hot buffet, a full salad bar featuring many organic items, a fresh made soup du jour, as well as hand-dipped ice cream and other dessert offerings. 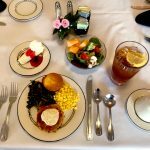 Residents may choose to be served restaurant-style or opt to make their selections on the line, cafeteria style. 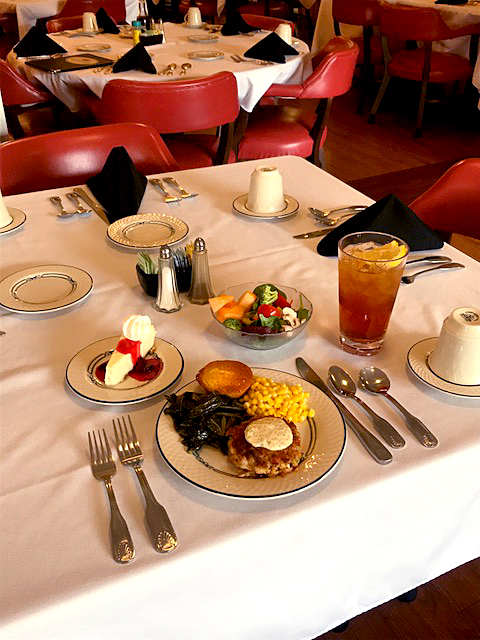 When you are entertaining family or guests, residents may reserve one of our two private dining rooms or join their family for daily meals or special holidays. 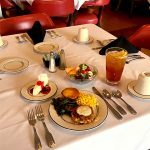 In lieu of the daily meal, you may opt for our full service grill which offers a variety of sandwiches and burgers made to order on the spot. 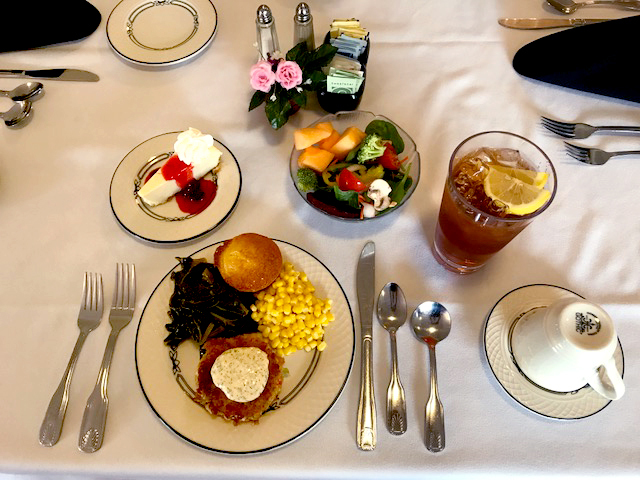 Our culinary staff is always receptive to new recipes and menu suggestions, incorporating resident ideas into meal planning. 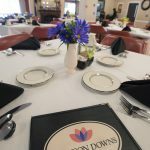 In the evening, Clemson Downs offers The Bistro, this popular spot located in our Dogwood Room, adjacent to our main dining room, allows you to enjoy a cold beer or glass of wine while enjoying a freshly made sandwich. 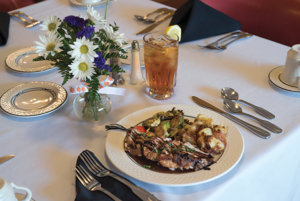 The Bistro is open Tuesday, Wednesday, and Thursday from 4 – 7 pm, and is a great place to relax and socialize with friends! 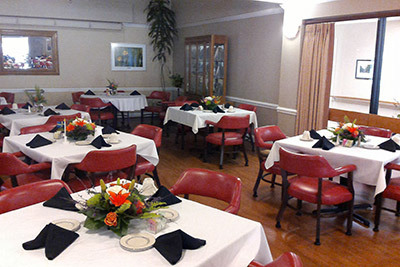 If a resident is unable to attend the meal in the main dining room, room service is happily provided. 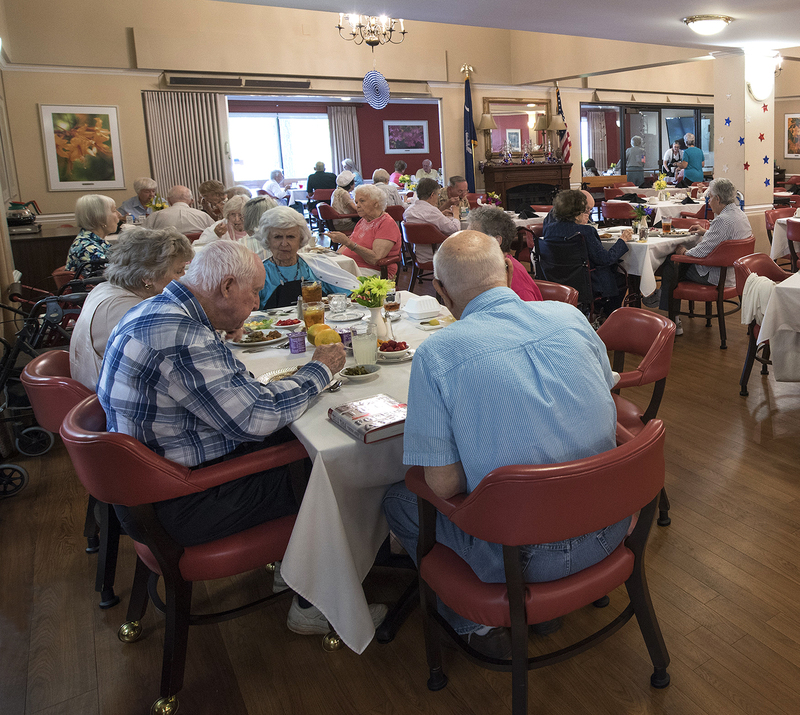 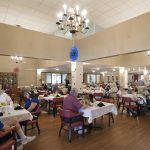 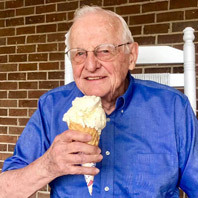 Clemson Downs offers four levels of continuing care… and all you can eat ice cream.